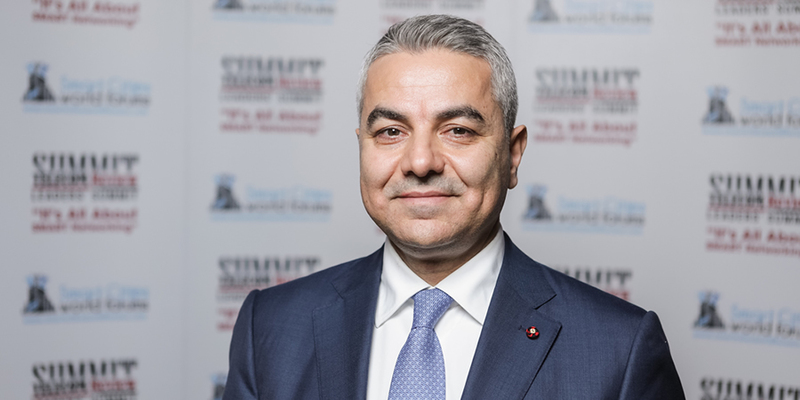 5G will be deployed by Alfa in Lebanon in the first half of 2019, announced Marwan Hayek, CEO and Chairman of Alfa, managed by Orascom TMT, in an exclusive interview with Telecom Review during the 11th edition of the Telecom Review Leaders’ Summit in Dubai. In the interview, Hayek spoke about the challenges that telcos face when trying to adapt to the digital era and transform. According to him, three main challenges have caused a slow down for operators, however each operator has to find its own way out. Alfa for example, chose to counter whatever comes in its way by becoming a true digital player in Lebanon and the region or what Hayek calls as “happiness provider” since happiness of customers is directly related to the telco services and speeds offered. During the Summit, Hayek participated in the Telecom Leaders Panel that outlined the opportunities presented to telcos in the digital era and how to seize them in order to spearhead digital transformation in the region. In the panel discussion, Hayek explained how digital transformation can uphold the country’s economy. He stated that in Lebanon, digital transformation could potentially create an additional $2bn to the country’s GDP. 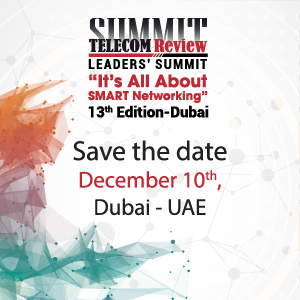 You have attended almost every edition of Telecom Review Leaders’ Summit. How do you describe the 11th edition? This is an event that none of the ICT experts and leaders should miss. It is a very well-organized event that offers great networking opportunities. We are also looking forward to the 12th edition of Telecom Review Summit that will be held in March 29th in Beirut and which will be a milestone for us because we will showcase what we can offer in terms of technology to the region. We promise you that the 12th edition is going to be very special. In the era of digital transformation, what are the challenges that telcos are facing, notably in the Middle East? As ICT players, we are facing many challenges at the regional and global levels. The first challenge is the decline in revenues that is hitting our top-line and affecting the profitability of any organization due to the emergence of OTT players that are affecting part of our revenues. Another challenges lies in the regulations, especially in our region where there’s still a gap when it comes to this side. Finally, the biggest challenge we’re facing today is cyber security. Once we embark on digital transformation and with digital disruption, the cybersecurity and privacy of our customers becomes increasingly significant to us as operators. We need to safeguard their data and make sure that they are not being attacked or hacked by any external entity especially that frequent cyberattacks could result in a backlash against digitization. 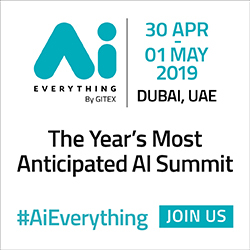 At Alfa, we have been exerting every effort to counter those challenges especially that of the decrease of revenues with the launching of a number of products and offers that will help us stabilize the revenues as well as meet the growing needs of our customers for data and innovation. One of the initiatives we started recently is focused on content and entertainment. Alfa has become today the exclusive broadcaster of the Alfa Lebanese Basketball Championship through the Alfa Sports app. This is a massive milestone for us because it puts us on the right track towards becoming a premium content provider in Lebanon. Alfa Sports is the first step in this journey and hopefully we will be covering other sports as well such as football and volleyball. In addition, we have also launched a new VoIP application called “+961 Alfa” that targets the Lebanese diaspora abroad. Every Lebanese will have his/her own Lebanese number attached to this application once he/she download it and he/she will be able to make and receive calls to and from Lebanon at local rates. All application users will be also able to call each other for free. How do you describe Alfa’s role in achieving digital transformation in Lebanon? Alfa plays a major role in Lebanon because we are one of the few organizations that are capable of delivering the country’s digital transformation goals. We have the know-how when it comes to digital infrastructure and we are at the forefront of innovation and technology. Our high speeds are accessible by every user in Lebanon and through our nationwide 4G LTE-A network, customers can enjoy speeds of 200-250 mbits/sec. This proudly puts Lebanon among the countries having the latest technological infrastructure and I am proud to say that Alfa and Lebanon have been listed again among the top 30 countries worldwide and 3rd in MENA region in terms of 4G speeds. In 2019, we are going to commercially launch 5G which will be a major milestone for us and the cornerstone to the digital transformation of Lebanon. We have promised that it will be launched next year and we are keeping our promise with plans to have it available in the first half of 2019. This will enable us to be a provider of all kinds of digital technologies including IoT that will be massively deployed within the next couple of years. This will also enable us to be directly involved with the government and local authorities to enable optimization of the public infrastructure and resources through smart planning, and actively participate in finding solutions for challenges faced by Lebanese citizens and governmental institutions on the levels of lifestyle, security, mobility, manufacturing, utilities and health among others. In fact, digital transformation requires smart thinking and planning as well as people and consumers who think in a smart way and who are equipped with the needed digital tools and a reliable network, hence they need an operator like Alfa. Once launched, 5G’s coverage will surely be gradual and will not cover all Lebanese territories at once. When do you expect a full coverage? In the last few years, we were able to roll out 4G+ across Lebanon. Of course, 5G will be deployed in a few hotspots next year and given the traffic and the capacity that we need in Lebanon, it is going to be nationwide in at least three to five years. Once fully covered, Lebanon will be able to leverage and fully embrace the IoT infrastructure.